Modern Wicker/Rattan Ottoman for Outdoor (SO-401-54) - Buy Outdoor Furniture, Ottoman, Wicker Ottoman Product on Guangzhou Wangjing Industrial Co., Ltd.
2) Powder Coating: All frame will be treated by powder coating, the color follow the wicker color so the some tone from inside and outside. 3) Hight quality PE rattan: nontoxic, washability, UV and weather resistance. 4) Fabric: 100% polyester, UV and water resistance, or imported fabric sunbrella etc. 6. Suitable for indoor and outdoor place. Color Available: Black, Brown, Coffee, White, many color for options, accept customize. Apply to: Hotels, resort, restaurant, club, balcony, bar, outdoor, patio, yard, garden etc. Shipping: 25-35 days after receiving down payment. Rattan: width: 6mm, 7mm, 8mm, 10mm, 12mm, 15mm etc. 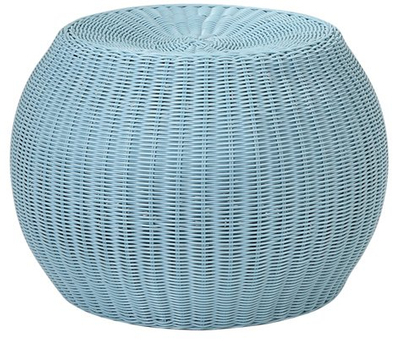 Round rattan: 3mm, 5mm etc. Half round rattan: 3mm, 5mm etc. Fabric: 180-250g waterproof and uv resistanct. color: black, beige, white, grey, etc. Aluminum: thickness: 1.2mm, 1.5mm, 2.0mm. at least 1.2mm thickness for our products. strong frame. Thank you for visting our website, we warmly welcome you to send us any questions or inquiries that you may have. we are sincerely looking forward to hear from you. 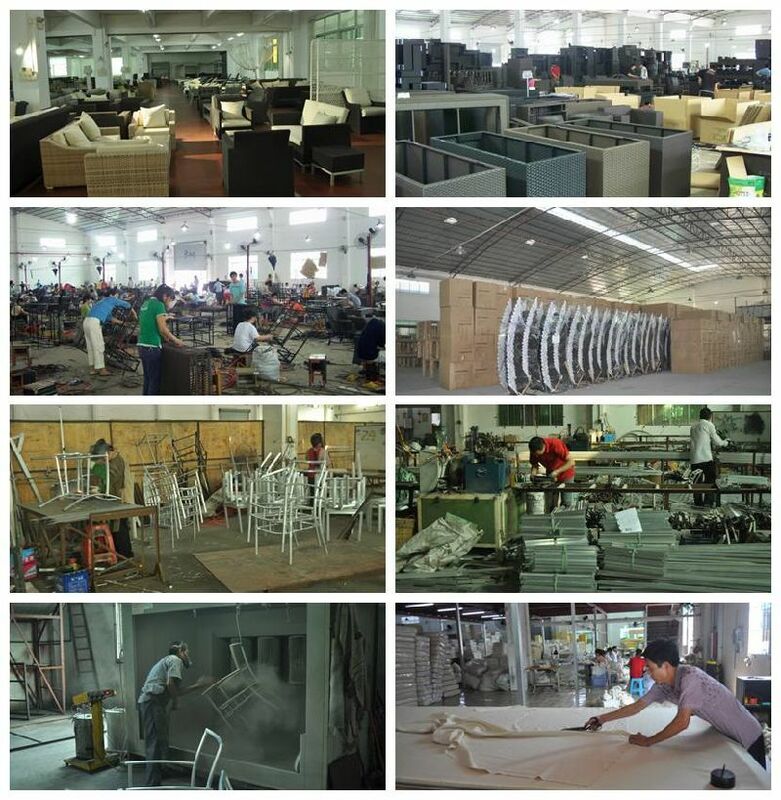 Our factory is professional manufacturer and specialize in rattan / wicker garden/outdoor furniture, leisure products which can fill your sourcing needs. 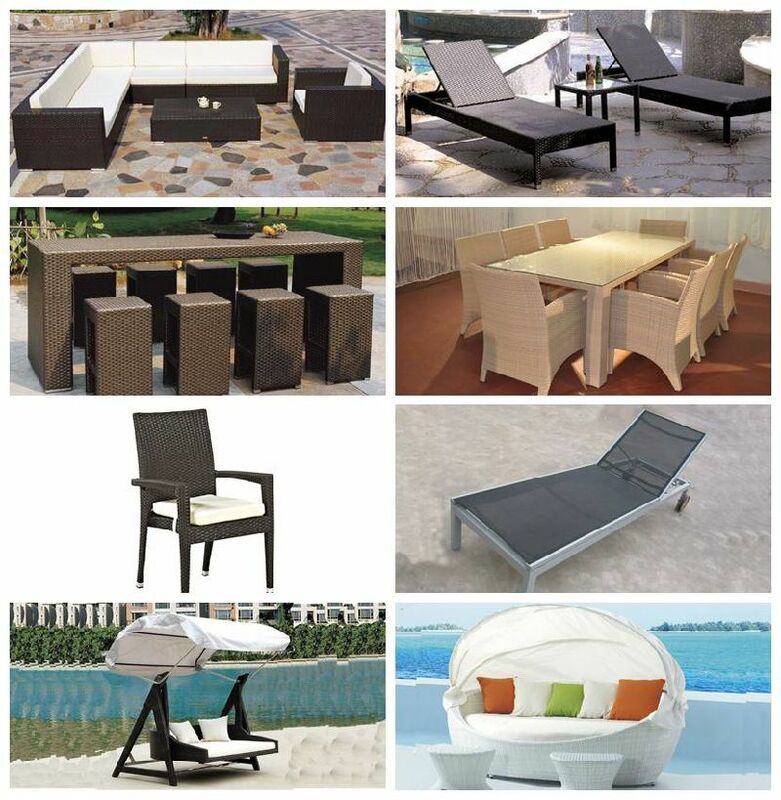 For the synthetic plastic cane furniture, These products are suitable for any harsh weather condition, they are all weather proof, UV resistant, and color fasting, OEM is welcome. We have more experience to make the products according to the customers' drawings and specification. The classic style with modern beauty makes our products are your best choice for outdoor use. More than 90% of our goods and services are delivery to Europe, America and Australia. In 2011, our annual sales volume exceeded US$60 million. We are strict in the quality of the products and have achieved the SGS authentication. People in LYNN all believe that Today's quality is Tomorrow's market. Application Garden, Hotel, Balcony, Beach, living room, restaurant etc.